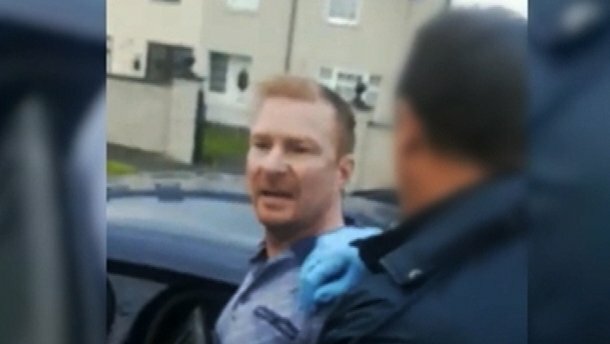 These were the words Kevin Braney shouted as he was being led away by officers from the Special Detective Unit who arrested him at his home at Glenshane Crescent in Tallaght in August 2017. "Harassing decent republicans," he yelled at the gardaí. "Shame on you." The Special Criminal Court, to which he was ultimately brought after he was arrested and charged with terrorist offences, clearly disagreed with Braney's self-assessment of himself as a "decent republican." It first convicted him last year of IRA membership. Yesterday he was jailed for murder. Today he begins his first full day of a life sentence in Portlaoise prison. 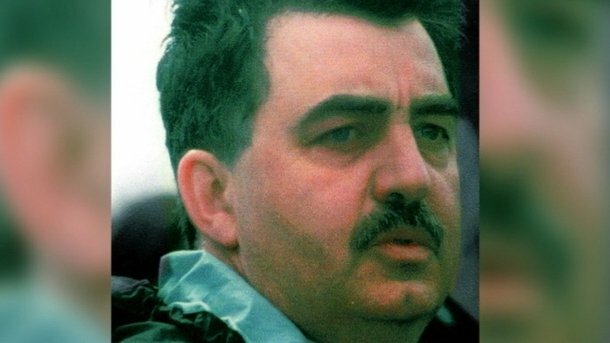 Kevin Braney was, gardaí say, the leader of the so-called New IRA in Dublin. The terrorist organisation was founded around 2012 and comprises an alliance of former members of the Real IRA, the Derry-based Republican Action against Drugs and former provisional IRA members who disagreed with the peace process but had not aligned with either of the other dissident groups, the Real IRA or the Continuity IRA. The dangers posed by the subversive organisation have been all too evident in the car bomb attack in Derry three weeks ago and the discovery of a large cache of ammunition in Co Louth last week. In the immortal words of the former President of Sinn Féin Gerry Adams when referring to a previous incarnation of the IRA, "they haven't gone away you know." The emergence of the so-called New IRA effectively spelled the end of the Real IRA which had been weakened by infiltration, intelligence and successful PSNI, MI5 and garda operations. It had also become increasingly discredited because of its links with criminality, particularly in the South. These were personified by the activities of its leaders in Dublin and Cork at the time, Alan Ryan and Aidan O'Driscoll. Ryan and O'Driscoll (pictured) were both locked up on the same landing in Portlaoise Prison in 2005 where they were both serving sentences for IRA offences. When they got out they decided to publicly wage a 'war on drugs'. They claimed they were taking money and weapons from drug dealers and running them out of disadvantaged communities. The reality, however, according to the gardaí, is that the Real IRA was simply running an extortion racket. A criminal gang under the blanket of republicanism, it demanded cash from organised crime gangs, drug dealers and legitimate businesses and retaliated with extreme violence to a refusal to pay. The Real IRA's so called 'anti-drugs' campaign led to a series of murders over many years. In 2010 alone, the group claimed responsibility for three gangland-style murders. The drug dealer Gerard 'Topper' Staunton who was shot dead in Cork in January (above), Colm 'Collie' Owens also shot dead in Dublin in July, and Sean Winters who was ambushed in Co Dublin in September. Owens and Winters were associates of the Finglas gang leader Eamon Dunne. The following year the group said it shot dead the major gangland criminal Michael 'Micka' Kelly outside his home in Clongriffin while in February 2012, Republican Action Against Drugs claimed responsibility for the murder of Derry man Andrew Allen in Donegal. Ryan and O'Driscoll subsequently fell out with one another and while Ryan remained in charge in Dublin, O'Driscoll moved back to Cork from where he led the Munster branch of the Real IRA. By this time the murders, extortion rackets, association with criminality had caused considerable disquiet within republican circles. Ryan was summoned to a Real IRA meeting in Drogheda and warned about his behaviour. However the violence, terror and intimidation had by now become public knowledge through the courts and the media and was in danger of damaging the group's support base. In the two years from 2009 and 2011, convicted IRA member David Dodrill extorted €260,000 from a Dublin chip shop owner. 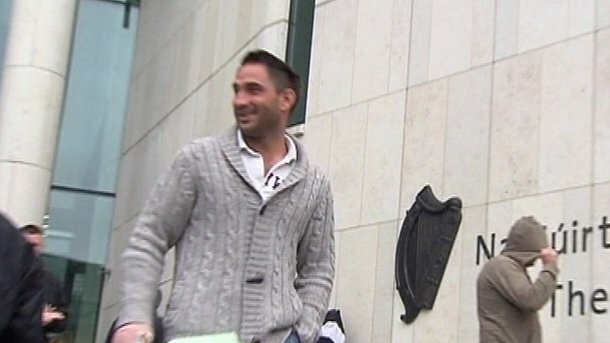 He was forced to hand over lump sums of between €30,000 and €164,000 as well as regular payments of €2,000 a week. He was even told to hand over the lease of his business which he could buy back later for €300,000. Dodrill from Plunkett Avenue, Finglas in Dublin told the terrified businessman he would come for him and his family in the night. At one meeting he lifted his shirt and showed the man his tattoos of men in camouflage with balaclavas and guns and 'Óglaigh na hÉireann' on his body. Even after the 31-year-old taxi driver was arrested and charged, the victim was still too afraid to come to court. Dodrill was jailed for six years. Alan Ryan had also been caught extorting money from businessmen and was before the courts at the time facing charges of demanding money with menaces. But while the gardaí built cases against the IRA extortionists on the basis of evidence gathered, the crime gangs pursued their own form of justice. Organised crime, particularly in Dublin, was no longer prepared to allow dissident republicans to continue to cream off the profits of their multi-million euro criminal enterprises. The criminals were now not only as well armed but also as ruthless as the dissidents. In the post ceasefire-era the IRA no longer commanded the previous levels of respect and obedience. The word IRA no longer engendered the same levels of fear amongst those at the higher levels of criminality. It wasn't long before the gangsters retaliated in kind against the dissidents and when they did they targeted the man at the top. 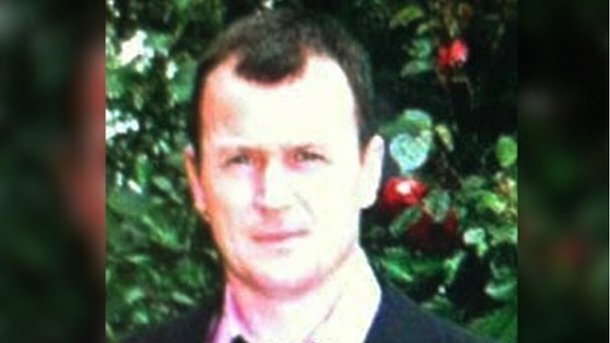 In September 2012 Alan Ryan was shot dead near his home in Clongriffin in Dublin. The murder exposed the differences within the Real IRA where many so-called traditional republicans who were much more discreet in their criminal activities were worried about the spotlight that had now been shone on the organisation. In addition they did not want an all-out war with the crime gangs of Dublin. The organisation decided to act. In public it maintained the veneer of republicanism and accorded Alan Ryan a so called 'military' funeral complete with men and women in paramilitary outfits. In private, however, it turned on its own in an effort to 'clean house'. Aidan O'Driscoll was warned not to go to Alan Ryan's funeral and became increasingly isolated from the leadership. The following year in June 2013 he was kicked out of the organisation and to mark his departure he was shot in the legs. 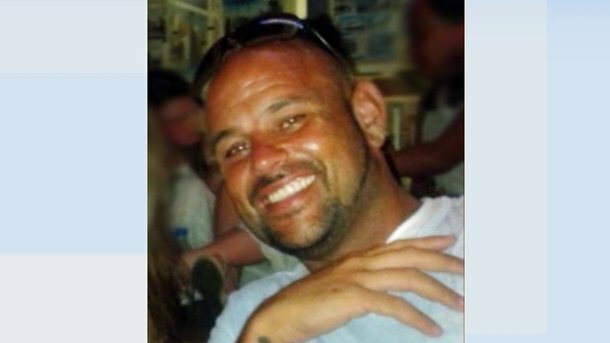 Three years later the 37-year-old was shot dead on a street in Blackpool in Cork. Three men have been charged at the Special Criminal Court with offences connected to the murder. Two have pleaded guilty and are due to be sentenced next month. "I understand that I went against army orders by not gong to my OC." Two months earlier, Kinsella had carried Alan Ryan's coffin at his funeral. He was also jailed for criminal offences and subsequently renounced any contact with subversives. Two months after the Kinsella shooting another Real IRA member Declan Smith also became the victim of a so called "punishment shooting." The 32-year-old was shot in the knee in January 2013 and dumped bleeding and wounded in Ballyfermot in Dublin. 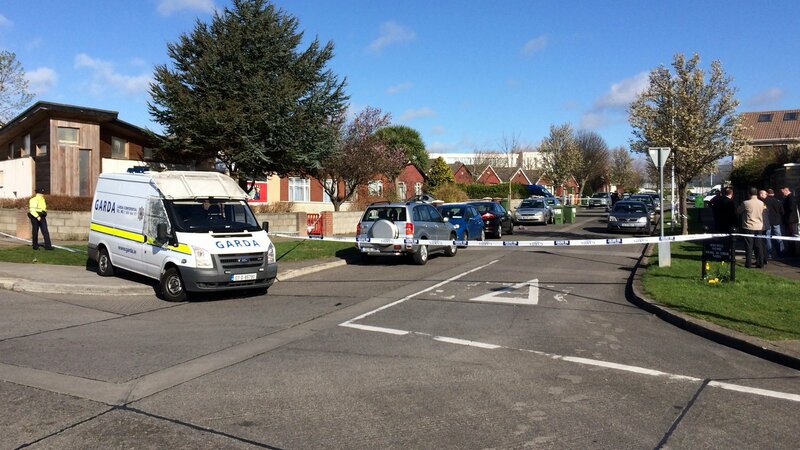 The following year he was shot dead outside The Little Rainbows crèche (pictured above) in front of parents and children in Donaghmede in Dublin. His last words were "No, No" as the gunman fired the double-barrelled shotgun into his face. A new group of leaders then took control of the dissident group and gave it a new name and a new focus. Kevin Braney replaced Alan Ryan and Aidan O'Driscoll and led the new organisation in Dublin and Cork. He also became the chairperson of the Dublin branch of Saoradh, an organisation founded in 2016 which styles itself politically as "a new revolutionary party" and supports IRA prisoners on both sides of the border. The organisation's first Ard Fheis in Newry, Co Down in September 2016 was attended by prominent dissidents including Colin Duffy from Lurgan and was told the group had the support of dissident republican prisoners. Duffy spoke at the graveside at the funeral of Alan Ryan. In Derry the dissident republican Gary Donnelly was elected to the Derry and Strabane District Council. Gardaí estimate the so-called New IRA has around 200 supporters and another 50 actively involved in terrorist and criminal activities. Its leadership is based in the North in Co Armagh but it also has strongholds in Tyrone, Derry, Belfast, Donegal, Dublin, Louth and Cork. The PSNI and the gardaí view it as the most dangerous terrorist organisation on the island. 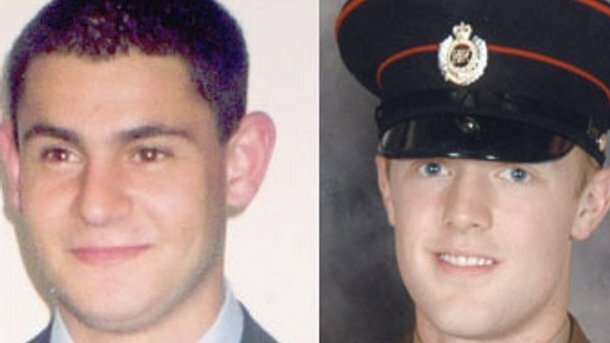 It's believed to have been responsible for the murders of the prison officers David Black in 2015 and Adrian Ismay in 2016 and prior to its formation its members are also suspected of having been involved in the murders of PSNI constable Ronan Kerr and British soldiers Mark Quinsey and Patrick Azimkar (below). In the Republic, the group receives logistical and financial support in the form of stolen cars, arms dumps, safe houses and the proceeds of armed robberies. Terrorist attacks are usually but not exclusively carried out in the North. Royal visits to the South in particular have been seen as high profile and high value targets. 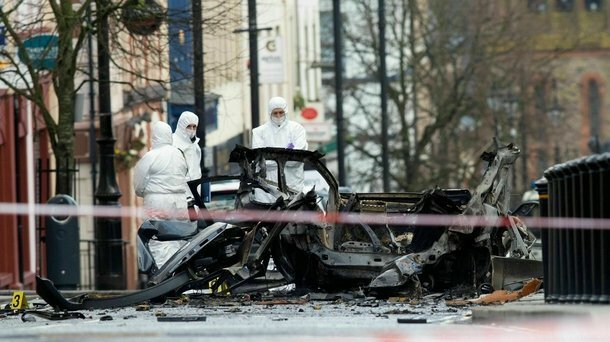 In spite of the emergence of this new IRA amalgamation the gardai, along with the PSNI, continued to inflict major damage on the dissident organisation, seizing huge quantities of weapons and explosives, disrupting attacks and securing convictions against many of its most prominent members. At least 20 dissidents are currently in jail in Northern Ireland while another 45 are in Portlaoise and Castlerea prisons. They include Seamus McGrane, a former leader of the Real IRA, who is serving eleven-and-a-half years for directing terrorism. The 65-year-old was caught plotting a bomb attack during the visit of Prince Charles to Ireland in 2015. 64-year-old Philip McKevitt is also in Portlaoise prison serving eight-and-a-half years for building a bomb in his shed in Co Louth along with 30-year-old Conan Murphy, the son of Colm Murphy, who was acquitted of charges related to the 1998 Omagh bombing. Another Portlaoise prison inmate was a new recruit who had not previously been on the garda's radar. 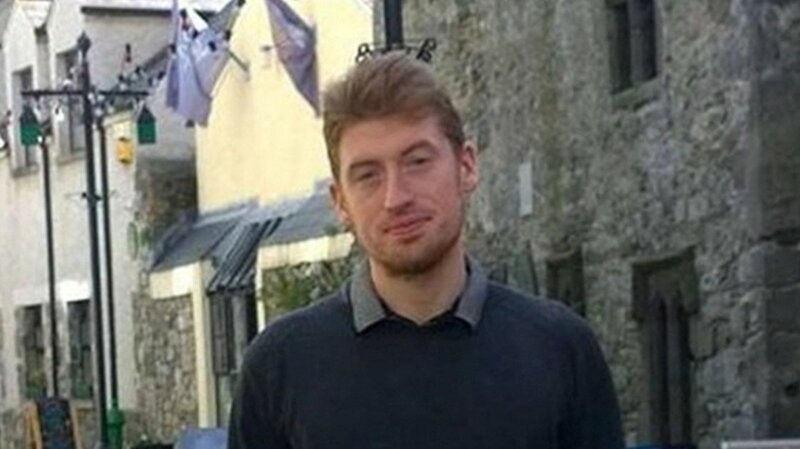 Donal O'Coisdealbha (below) was a third-level student working in biomedics when components for explosives were found in his locker at Maynooth University and at a house he travelled to in Wexford. The 27-year-old, who is the son of veteran IRA man James 'Mortar' Monaghan, was sentenced to five-and-a-half years in prison. The garda's success against the dissidents has proved a major problem for the terrorist organisation as was evident in the aftermath of the murder of Peter Butterly. The dissidents did not know the gardaí had them under surveillance on that day, 6 March 2013. The main participants were arrested very quickly after the killing in the car park of the Huntsman Inn in Gormanston, Co Meath. Peter Butterly (above) was a senior figure in the Real IRA and had been linked to two former leaders, Michael McKevitt and Liam Campbell. However the 35-year-old father-of-three fell foul of the new terrorist organisation and was set up and lured to his death by his former "comrades". As leader of the murder gang, the man who organised and planned the killing, Kevin Braney, also led the subsequent inquest into what went wrong. At a meeting at a KFC restaurant the next day he was particularly anxious to find out why the murder scene had been saturated with gardaí and why every move the gang made was followed. What he didn't know at the time was that his conversations were being recorded and were ultimately used against him as evidence in court. 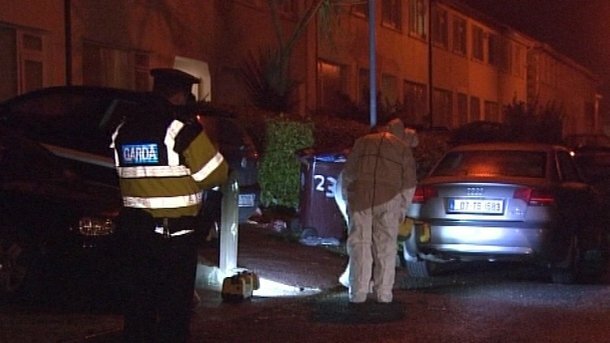 Braney was a target of the Garda's Special Detective Unit and the Security and Intelligence section for years. In March 2013 he was part of an IRA gang with seven other men extorting money from a used car dealer in Clondalkin in Dublin. He was arrested at the dealership and when gardaí searched the vans there they found cable ties, gloves, balaclavas, a baseball bat, a lump hammer, pepper spray and a pistol. He was charged and brought before the Special Criminal Court, but in 2015 the case collapsed. Braney remained under surveillance and had no previous convictions until he was caught again two years later intimidating and threatening a man in Co Meath who had put in a claim against his employer. The man had fallen off a roof after the overhang gave way. His employer didn't pay his wages and he needed to pay his hospital bills. Braney and another man, Ciaran Maguire from Kippure Park in Finglas, travelled to the village of Longwood in August 2017 and told the man they were the IRA. He was threatened that if he didn't drop the claim he would be shot. Both men were sentenced to more than four years in prison. By this time detectives from Louth and Meath had gathered sufficient evidence against Braney and he had also been charged with the murder of Peter Butterly. Another major blow to the gang was the fact that one of them admitted his role in the murder of Mr Butterly and entered the witness protection programme. David Cullen gave evidence against the others. Edward McGrath, 37, from Tallaght, Sharif Kelly, 49, from Balbriggan and Dean Evans, 27, were all convicted of the murder and are serving life in prison. Two other men - Michael McDermott, 59,from Ballinagh, Co Cavan and Frank Murphy, 58, from McDonough Caravan Park, Bettystown in Co Meath - have both pleaded guilty to lesser charges and will be sentenced next month. One other man is still before the courts. Kevin Braney is the father of six children. His second wife has a serious medical condition. He worked as a bus driver on a part-time basis and volunteered as a football coach "in an effort to keep the children off the street". The 44-year-old is a family man who misses his wife and children "enormously". The family has also suffered a loss in income over the years. His wife and children travel to Portlaoise Prison every Saturday to see him, a round trip which costs €30. Both he and his family are suffering the life-changing consequences of his involvement in dissident republican activities. The imprisonment for life of one of the so-called New IRA's most senior members and the group's leader in Dublin represents a major coup for the gardaí and a major blow to the terrorist organisation. However with the recent car bomb attack in Derry and the arms find in Co Louth, the dissident republican group has shown that not only are its members still active, they are also anxious to step up their activities as the spectre of Brexit and a hard border looms larger. There's no doubt among police officers on both sides of the border that in spite of the jailing of Kevin Braney and others like him, the so-called New IRA still poses a major threat to peace and stability on the island of Ireland.